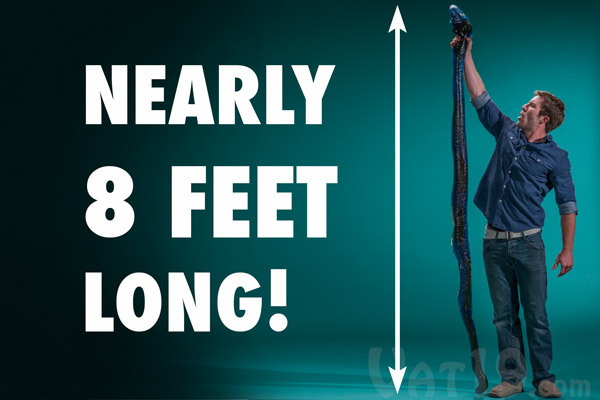 The 26-Pound Edible Gummy Party Python by Vat19 is a nearly 8-foot long piece of snake-shaped candy that weighs almost 27 pounds. It is handmade in the USA using 12 pounds of sugar and is available to purchase in two dual-flavor combinations (Red Cherry & Blue Raspberry and Blue Raspberry & Green Apple). 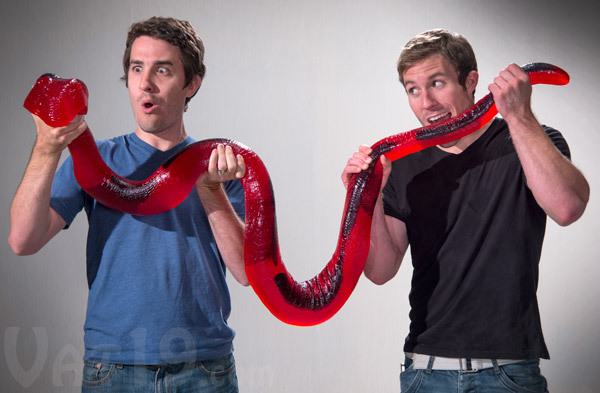 Take a look at their promo video for information on this gargantuan hunk of confection. The creators of the Party Python care deeply about the quality of their products. 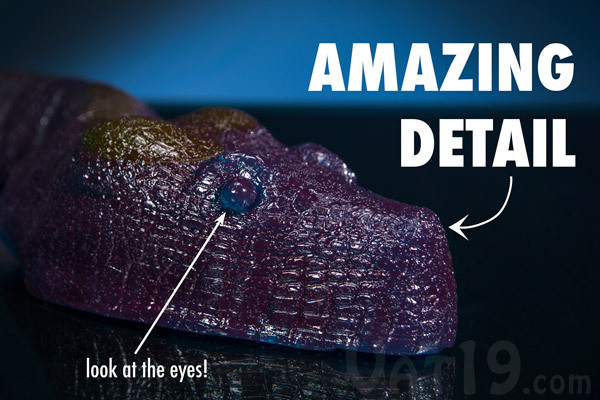 It took months of painstaking work for the designer to hand-carve the overwhelming number of intricate details on the Party Python. 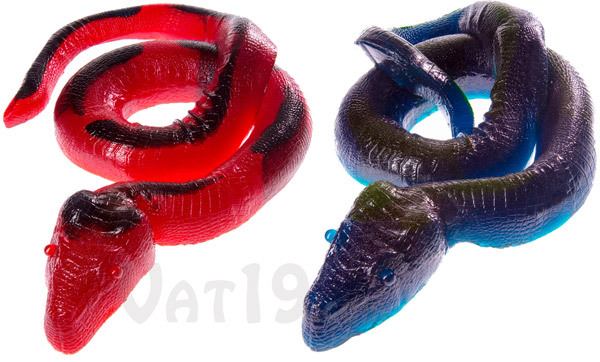 This constricting candy snake features amazingly detailed eyes, elaborate and blended coloring, ridges where the snake naturally coils, and thousands of realistic scales. It’s almost a shame to eat this thing. Almost.